With the recent release of Car Seat Headrest’s revisited version of the 2011 epic Twin Fantasy, I realized that within these past seven years since the original was released, the market for self-produced, independent projects has grown much wider and more accessible for both musicians and consumers. What many call this niche that has been carved out for such artists is “bedroom pop.” The term is misleading because it causes one to think that such music is sickly-sweet drivel, but it’s only a way to describe a hard-to-define genre that, although mostly alternative-centered, includes influences from all over, from lo-fi to r&b. The genre of “bedroom pop” has become an important representation of independent music today, and this relevance is reliant on three factors: the indepence, musical quality, and emotional quality of an artist’s work. Because of these factors, the “bedroom pop” genre has been able to capture something that all established music institutions, from rap gods to alternative legends, can’t reproduce. As noted, the first part of the formula is independence; that’s the easy part. With the help of the internet, just about anyone can write a song nowadays; whether that be with an old guitar and a microphone, or even with a generic program such as Garageband. That also means that anyone can create and produce an album, as well as release it on the internet. The need for a record company is over now that one can make it big on Soundcloud—which has become so influential that one can write an entirely separate article on it—or Bandcamp. For an artist who strives to produce music independently, this makes things both easier and difficult. Yes, you can now release an album all by yourself, but so can everyone else you know. That’s where the second part of the formula comes into play, because without it, all young artists would be making the same thing. Part two, the musical merit, is harder to reach. Yes, there are common threads that many “bedroom pop” musicians share in their signature style, such as tweeness, or songs that are either extremely long or extremely short, or self-indulgent references to prior inspirations, but those are only the dressings around unique songwriting prowess. 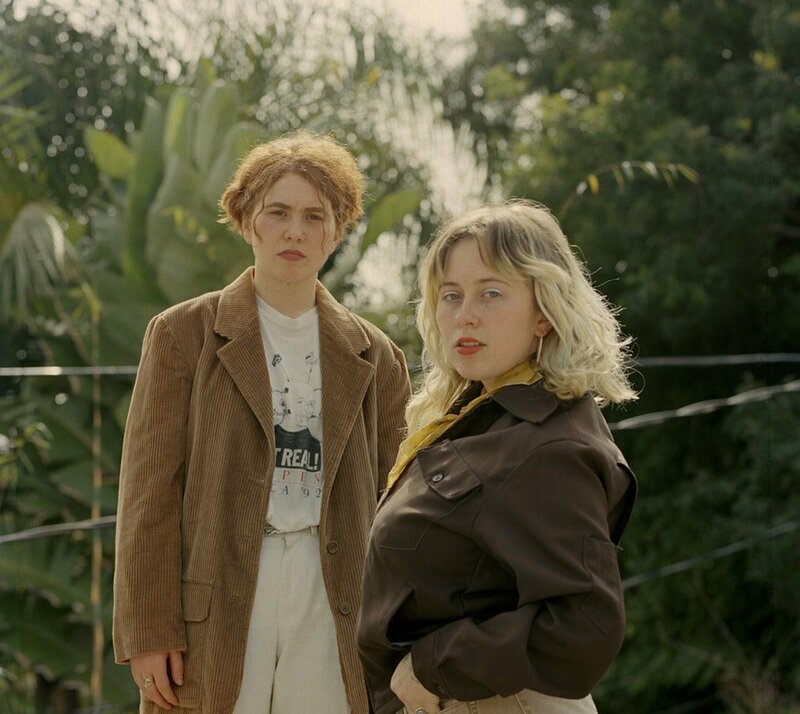 Take the band Girlpool, for example, which was started by Cleo Tucker and Harmony Tividad when they were still teenagers. They developed their own unique musical style, which uses only guitar and bass along with their discordant vocal harmonies. Because they lacked a drummer, the duo had to innovate, and through such innovation, they gained notoriety. Girlpool passes the second part of the criteria with flying colors, and due to such success, they have been able to expand the options without losing what made them unique in the first place. 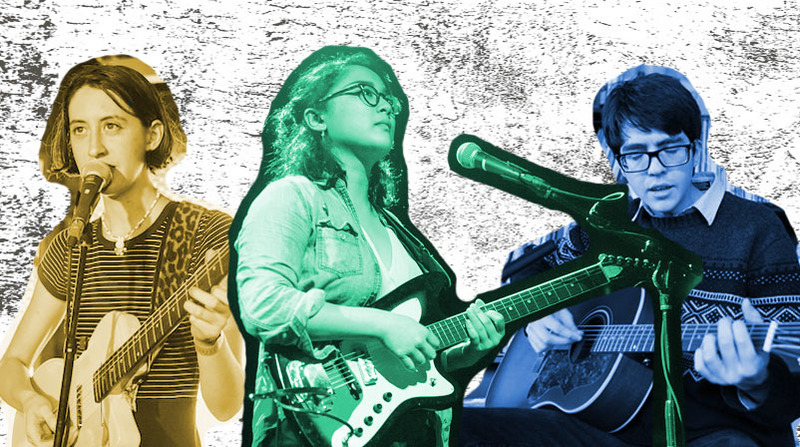 A more established musical act may find it hard to invent new ways of using the same instruments they’ve always used, but for young up-and-comers, their fresh perspectives allow for such innovation. The emotional core of music is what allows it to connect with its audience, often through the lyrics and intonations of the singer. For “bedroom pop” musicians, songs often reflect the plight of a young person in today’s society, whether that be through extreme metaphor, such as Sidney Gish’s dog-version of herself in “Imposter Syndrome,” or extreme bluntness, such as in the work of Frankie Cosmos. It’s a tricky subject to broach, since everyone has different experiences with the process of entering the world of adults, but with the right cultural references and sense of universal ambiguity, it can be done. So, whether it’s the lush electronic soundscapes of Jay Som, or the jazz and soul inspired Rex Orange County, the world of “bedroom pop” is full of a colorful variety of musicians to explore. As a representation of independent music today, I believe that it not only serves but exceeds its purpose. As the genre evolves and meshes with others, it will be interesting to see what else shows up, and perhaps, leads to something entirely different.